Having lived with eczema myself, I can empathise with those suffering from the same skin condition. It’s a skin condition that has caused me a great deal of pain and frustration, and one which I’ve found very hard to live with at times. Although, that being said, compared to some sufferers my eczema is nothing. I can only imagine the amount of suffering that someone with severe eczema must go through on a daily basis. When I talk to people about this subject I’m constantly surprised at the number of sufferers there actually are. This can’t be just a coincidence, it happens too often. And if I’m not talking to a sufferer, I’m talking to someone who knows a sufferer. Something’s not quite right! I haven’t always had eczema, it’s something that seemed to develop over a period of time, years to be precise. I’m not even sure when it started or what caused it, I just know I’ve had it a while and it’s extremely unpleasant. The eczema mainly breaks out on my hands and feet in the form of itchy patches of dry skin, which quickly turns into a rash. Probably like most people with eczema, trying to stop yourself from scratching the affected areas is a nightmare, and only makes things worse. This inevitably leads to painful open sores and blisters that take weeks to heal. I tried the usual creams from the chemist, most of which would work for a while, only for the eczema to slowly creep back into my life and take over. I decided to take matters, literally, into my own hands, and started to research eczema, its probable causes and claimed cures. It’s the way of the world I suppose, if you have a problem there’s always someone there to help you fix it if you’re happy to part with the money. And let me tell you, there were plenty of very helpful people willing to relieve me of my hard earned cash. Well, I parted with the cash and the returns weren’t what I’d hoped for; so now it was time to try something else…. ….It was at this point that I decided to create my own skincare products. 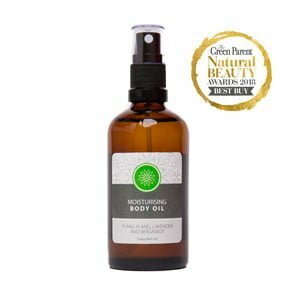 This put me firmly in control and allowed me to choose exactly which ingredients I wanted and didn’t want to use on my skin. I decided, from the outset, to follow a more natural path and wouldn’t be including any synthetic chemicals. There were lots of failures along the way, this I knew would be inevitable but didn’t concern me – I always remember when I was young being told that ‘a person who never made mistakes, never made anything’, and this has stuck with me, so I persevered and finally produced a bar of soap I was happy to use. I began testing this soap on myself and was impressed by the results. Well, that was nearly 3 years ago and a lot has happen since then, the main thing being Soapy Skin Ltd, which was born out of my search for eczema relief, with a mission to help others like myself. Since creating the first bar of goats milk soap, 3 years ago, one thing has remained constant: my eczema is no longer a problem. I continue to use it on a daily basis and would never use anything else. 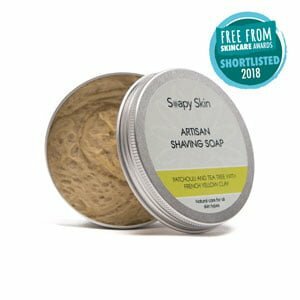 People have very different skin types and our products will not suit everyone, however they continue to work for me and they are now helping many of our Soapy Skin Ltd customers to gain relief. 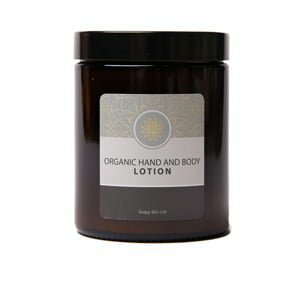 I’m a firm believer in giving things a go; expensive creams and lotions that promise the earth don’t always deliver the results you hope for. The Soapy Skin Range, with an affordable, natural approach may just give you the answer you’re looking for. 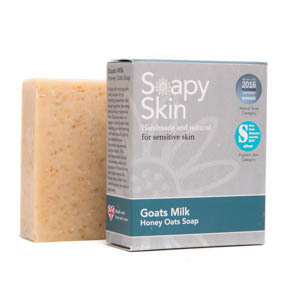 Why not try the Goats’Milk Honey Oats Soap today (this is the soap I use in my daily cleansing routine), and discover the results for yourself! If you would like more information or would like to try a bar of our Goats Milk Honey Oats Soap, then you can follow this link to the Goats Milk Honey Oats product page, and maybe it could work for you too.